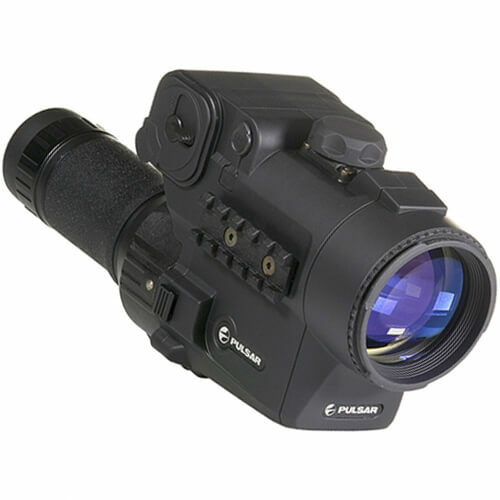 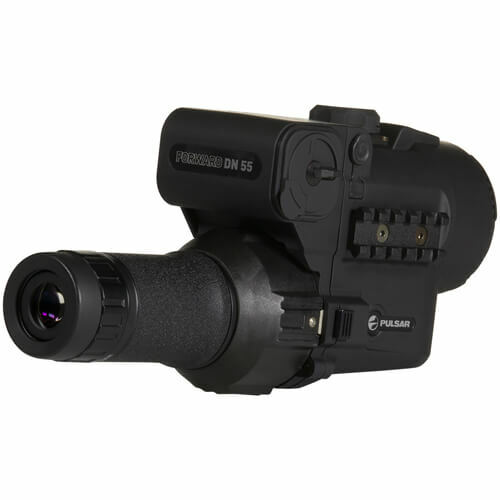 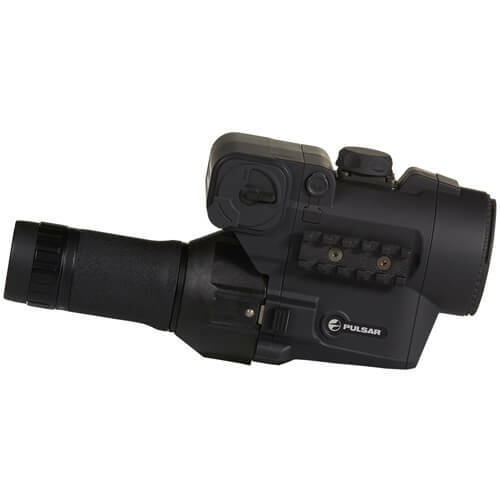 The Pulsar DN55 is a two-in-one package with the highly sophisticated Pulsar DFA75 (Digital Front Attachment) and a 10x32 monocular attachment for increased application. 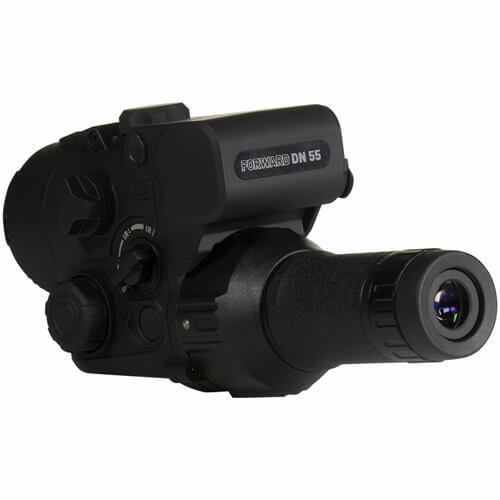 With installation of the included monocular attachment, the DFA75 can be used not only to convert a daytime riflescope into a powerful digital night vision riflescope, but into a hand-held 10x32 digital night vision monocular as well. 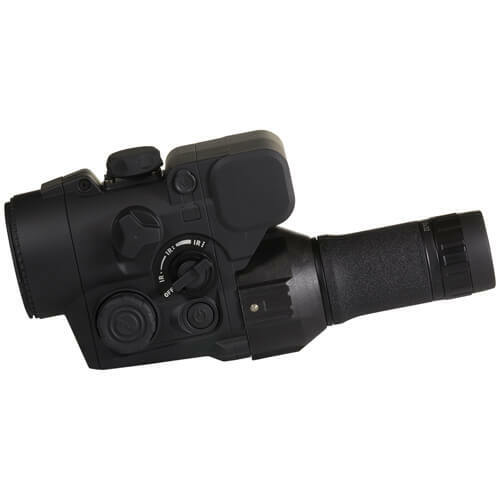 The attachment clicks tightly into the eyepiece on the back of the DFA, transforming the entire device into a lightweight monocular. 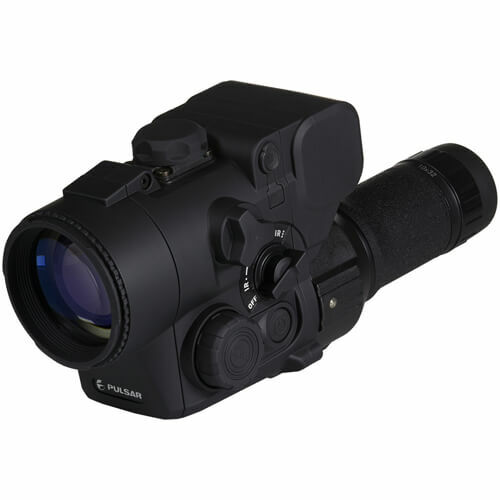 Delivering vivid images in challenging lighting conditions, the versatile DFA75 – either as a riflescope or monocular – is a perfect match for security and surveillance, as well as scanning for prey in pitch black darkness. 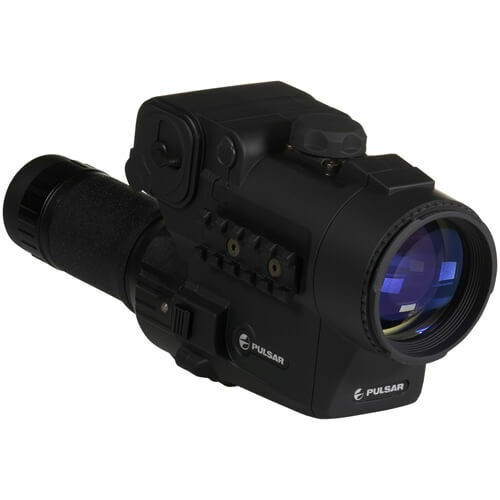 Dimensions: 9.7 x 3.2 x 4.6"